One of the biggest questions would-be homeschooling families have about educating at home is how much does homeschooling cost? 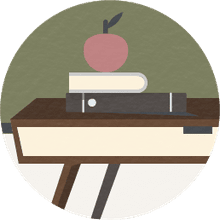 While the factors affecting cost can vary greatly, there are several ways to save on curriculum if you need to homeschool frugally. Homeschool used curriculum sales. Start checking your homeschool group’s newsletter or email list in the spring. Most sales are scheduled to begin near the end of the current school year. Facebook groups. You can often find Facebook used curriculum sale groups based on location or curriculum brand. Online sites. Check auction sites, online classifieds, and booksellers. If you’re purchasing used, keep a few things in mind. First, consumable texts are usually copyrighted. Even though people may sell them, it is a violation of the author’s copyright to do so. This is often true of DVD and CD-Rom products, so check the vendor’s website before purchasing. Second, consider the condition of the books (writing, wear and tear) and the edition. Older editions may offer a savings, but they may require books that are no longer in print or be incompatible with the current consumable workbook. 2. Purchase non-consumable materials that can be used with multiple children. If you're homeschooling more than one child, you can save money by purchasing non-consumable texts that can be passed down. Even if there is a required accompanying consumable workbook, those can usually be purchased fairly inexpensively. Non-consumable materials may also include resources such as math manipulatives, required reading books, CDs or DVDs, or lab equipment. Unit studies also offer savings when homeschooling multiple children by allowing children of different age, grade, and ability levels to study the same concepts together using the same resources. There are both online and local buying co-ops that may help you save on curriculum expenses. Homeschool Buyer’s Co-Op is a popular online resource. You can also check your local or state-wide homeschool support group's websites. Many curriculum vendors offer “scratch and dent” sales with discounts on less-than-perfect homeschool curriculum. These may be products that were used in homeschool convention displays, returned, or slightly damaged in shipping from the printer. This can be a fantastic opportunity to save on curriculum that is still quite useable. If the vendor’s website doesn’t list information about a scratch and dent sale, call or email to inquire. These discounts are often available even if they aren’t advertised. 6. Check to see if your homeschool support group offers a lending library. Some homeschool support groups offer member-supported lending libraries. Families donate the materials that they’re not currently using for other families to borrow. This can be a mutually beneficial option since it allows member families to secure their curriculum at a significant discount, and, if you’re the lender, it solves the storage problem if you’re saving curriculum for younger siblings. You just let another family store it for awhile! With a lending library, you will want to make note of their policies regarding lost or damaged curriculum whether you’re borrowing or lending. Also, if you’re lending you’ll want to be prepared for more wear and tear on curriculum than there would be if you were storing it. 7. Utilize the public library and intra-library loan. While the public library isn’t a great source for a wide variety of homeschool curriculum, we have been surprised to find popular titles there. Our library carries the full Five in a Row series, for example. Another nearby library offers Rosetta Stone foreign language courses online free to card holders. Even if you’re local library’s resources are somewhat limited, check to see if they offer intra-library loan. Many small libraries are connected to libraries across the state through an intra-library loan system, which greatly increases your options – as long as you’re willing and able to wait on materials. Sometimes it can take several weeks for the books you’ve requested to arrive at your library. Many homeschool curriculum vendors offer digital versions of their curriculum. These are usually listed as a purchasing option on their website, but not always so be sure to ask. Digital versions typically offer significant savings since the vendor doesn’t have to print, bind, or ship them. They feature the added benefits of requiring no storage space and being able to print off only the pages you need for yourself and your students. You may also want to look at online and computer-based lessons. 9. Ask about military discounts. If you’re a military family, inquire about military discounts. Many curriculum vendors offer this even if it's not readily apparent on their website. 10. Split the cost with a friend. If you have a friend with children similar in age to yours, you may be able to split the cost of your homeschool curriculum. I've done this with a friend before. It works best if your children are staggered in age and when you have similar standards in caring for materials. You don't want to strain the friendship because one of you didn't take care of the books very well. In our case, my friend's daughter used the materials first (non-consumable, so we weren't breaking copyright laws). Then, she passed them on to my daughter, who is younger than she is. When my daughter had completed the curriculum, we gave it back to my friend so her younger son could use it. 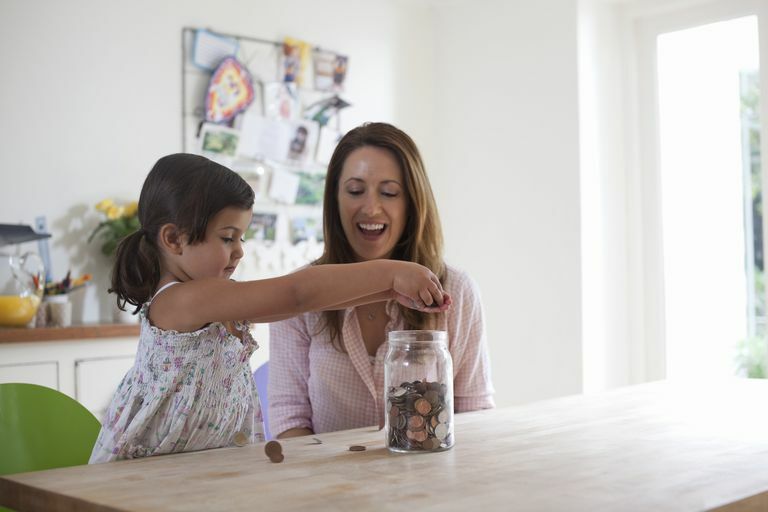 There are many ways to homeschool frugally without skimping on your student's education. Choose one or two of these suggestions to see which works best for your family.